All too frequently, debtors consider bankruptcy to be their only option. If you are struggling with mounting debts, this can seem like a simple way out. But, using some simple techniques, you can reduce your debt gradually – making your monthly repayments more manageable, and eventually leaving you debt-free. The Credit Card Shuffle is a very effective debt management technique, and one that can significantly reduce your monthly repayments. Many borrowers have debt stacked on a number of different cards or loans, each of which will have a different interest rate. 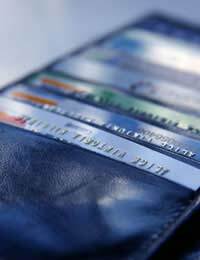 The credit card shuffle aims to make your debt cheaper, and therefore easier to pay off. You should start by writing down the details of your credit cards. Note how much you owe on each, and the rate of interest you are paying. Then, transfer as much of the debt outstanding on the most expensive card (the one with the highest interest rate) as you can onto the cheapest card – until you reach your credit limit. Next, move as much of your most expensive debt as you can to your second cheapest card, and so on. Finally, use the money you are saving as a result of your lower repayments to pay off your most expensive credit card. When this is closed, use the money to pay off the next most expensive one until you have cleared your debt. Debt Consolidation is an old favourite. It basically involves taking out a new loan that covers all of your existing debts. You immediately pay off all of your debt and are left with a single monthly repayment. There are a number of benefits to this. Primarily, you can often get a lower, fixed rate of interest that will reduce your repayments. It is also generally less stressful to have just one bill arriving each month. There are, however, a number of drawbacks. Large consolidation loans are often only available to homeowners, and the debt will be secured against your house. Furthermore, it is not as easy to get a consolidation loan as it was five years ago. If you have a poor repayment history you might struggle. All too often, borrowers are scared to contact their lenders directly. This is a shame, because Negotiation can frequently be a simple and effective way of making your debt more manageable. Phone your lenders and tell them that you intend to take your debt elsewhere unless they can offer you a lower interest rate. This can seem scary, but don’t worry – the person on the other end of the phone is trained to deal with it. In fact, they often have significant leeway when it comes to negotiating new terms, so it’s always worth asking. The Snowball Method is another great way of managing multiple ‘revolving’ debts – normally credit cards. You start by listing all your debts in order of outstanding balance. You make the minimum payments on all of your debts, then work out how much extra each month you can pay back. You use all of this money to pay off the smallest debt. When this is settled, you move onto the next smallest – adding what you would have been paying in minimum repayments for the debt you have just paid off. You continue in this manner until all your debts have been settled. It is worth remembering that this method requires you to be able to make your minimum monthly repayments. If you are not in a position to do this, you should contact your lenders immediately. Bankruptcy is not always the only option. With a bit of forethought and the help of these debt management techniques, it is often possible to pay off what you owe without the need for bankruptcy proceedings.